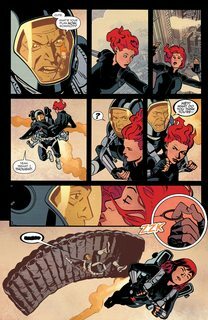 Black Widow Vol. 6 #1 – 12 + TPBs (2016-2017) : S.H.I.E.L.D.’s Most Wanted! 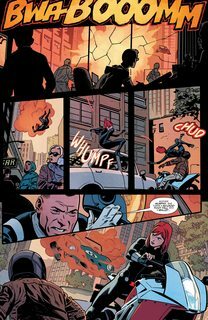 The Eisner Award-winning team of Mark Waid and Chris Samnee are taking Black Widow on the lam! Natasha has spent years gathering secrets, and when some of the darkest ones begin mysteriously going public, no one is safe. With her betrayed former confederates at S.H.I.E.L.D. on her heels and a lifetime of training and ingenuity at her disposal, Natasha’s out for answers in a knock-down-drag-out tale of action and espionage! 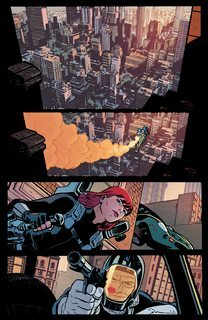 Hidden enemies, old friends and unusual allies collide, and all eyes are on Black Widow. The chase is on!